His last movies were Star Wars prequel trilogy in 2005. His breakthrough came in 1952, when he was cast in Douglas Fairbanks, Jr. films at the British National Studios. Lee appeared in John Houston’s Oscar nominated movie Moulin Rouge. Lee was born in 1922 in London. He was the son of Lieutenant Colonel Geoffrey Trollope Lee. Lee’s parents separated when he was only four years old and later divorced after two years. He played his first role as Rumpelstiltskin in Switzerland. The author of the James Bond novels became the step-cousin of Lee after his mother married Harcourt George St-Croix Rose. He continued acting in school plays and applied for a scholarship in Eton. Lee won scholarships in classics, studying Ancient Greek and Latin while studying in Wellington College. Lee volunteered to fight for the Finnish forces during Winter War in 1939. He returned to London in 1946 and was offered job at Beecham’s but he turned it down. He met Nicolo’s friend Filippo Del Giudice, a lawyer turned producer with the idea of pursuing the acting career. He made his debut in Terrence Young’s Gothic romance Corridor of Mirrors in 1947. 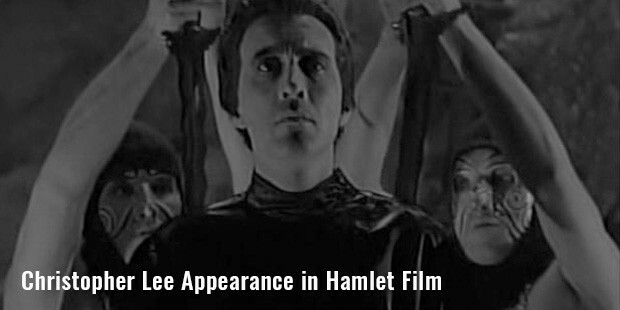 He also made appearances in Hamlet in 1948 and Captain Horatio Hornblower R.N in 1951. and in the next decade he appeared in almost 30 films. His first film as one of the main characters was “The Curse of Frankenstein” in 1957 where he played the monster. A little later he was casted in “Corridors of Blood” and “Dracula” in 1958. Lee worked in an Italian-French horror picture called “Uncle Was a Vampire” in 1959 where his role was similar to the previous characters he played. 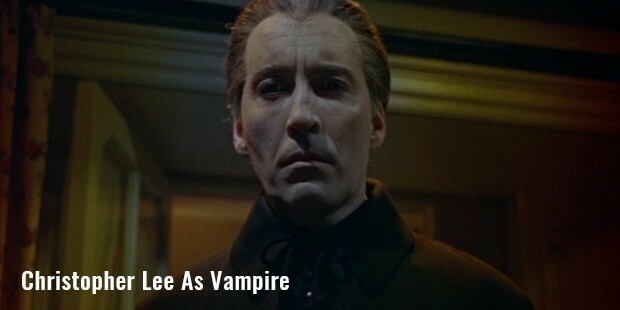 Lee returned to playing the role of the Dracula in “Dracula: Prince of Darkness” in 1965. 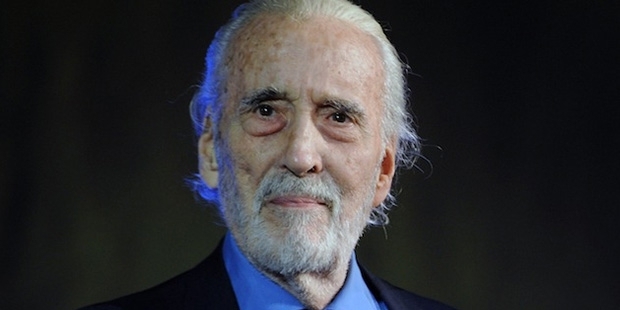 His movies “Dracula Has Risen from the Grave” in 1968, “Taste the Blood of Dracula” in 1969 and “Scars of Dracula” in 1970 gave a little scope for Lee to act. But all the Dracula films became a huge commercial success. Lee acted in “The Mummy” in 1959 and “The Mad Monk” in 1966 which were a success. After performing so many Dracula oriented movies, Lee was a bit tired of his image as Dracula. He acted in “The Three Musketeers” in 1973 and the sequels “The four Musketeers” and “The Musketeers Return” in 1974 and 1989 respectively. He eventually played the James Bond villain in “The Man with the Golden Dun” in 1974 and was critically acclaimed worldwide. 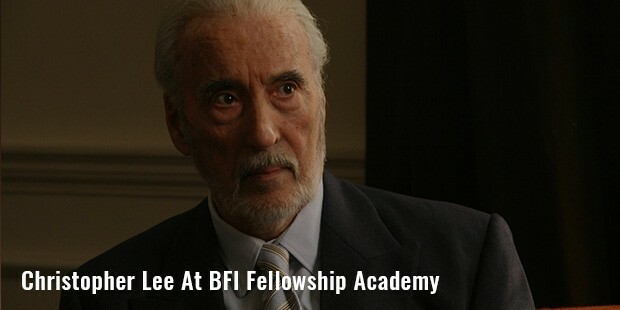 Lee’s popular roles include “Dracula” from the Dracula Series, James Bond Villain from “The Man with the Golden Gun”, Saruman “The Lord of the Rings” and as Count Dooku from the “Stars Wars” Episode II and III. Lee was engaged to Henriette von Rosen in late fifties. However shortly before the wedding, Lee called off the engagement due to financial insecurity in his acting career. 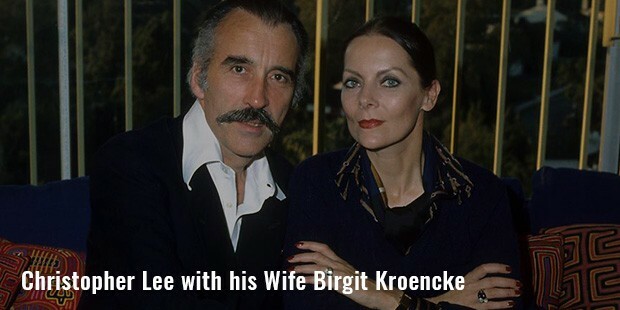 He later was introduced to Danish painter and model Brigit “Gitte” Kroncke in 1960. They engaged in 1961 and married soon after. Lee died on 7 June 2015 at Chelsea and Westminster Hospital after being admitted for respiratory problems and heart failure.